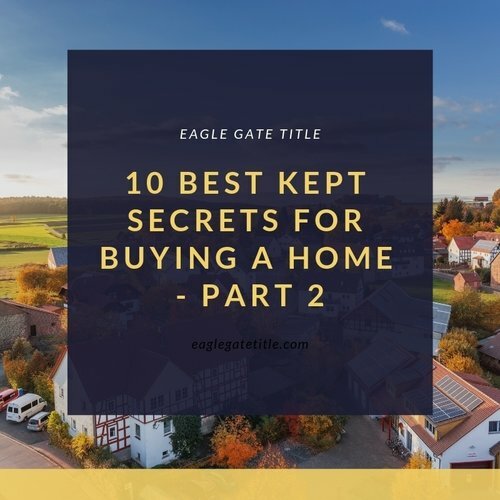 This article is a continuation of the Saint George home buyer article 10 Best Kept Secrets for Buying a Home – Part 1. You’re in for heartache if you let emotion be the driving factor to purchasing a home. As a Saint George home buyer, remember that “falling in love with a home” and simply going with it on those grounds alone often has consequences, mostly financial ones. Letting emotions choose your home for you typically ignores instinct and hinders your ability to understand value when it’s presented to you. A Saint George home buyer is an investor. That’s what a home purchase is, so be wise. You’d never purchase a used vehicle whiteout taking a look underneath the hood. Use the same mindset when you hit the housing market. Hire a home inspector and gain valuable information about the property. The average cost is around $200 for this service but can result in thousands of dollars of savings. It’s a fantastic way to obtain an opinion from a third party who is unbiased. If issues are found by the inspector, you then have some leverage for getting a lower price. How many stories have you heard of a Saint George home buyer purchasing a home they thought was in great shape but later learned that wasn’t the case? Avoid that with a home inspector. When a Saint George home buyer places an initial bid on a property, there should be two things and two things only that influence the amount: your realistic opinion on what the property is worth and what you can afford. You don’t want to insult the seller by making an outrageously low bid, but at the same time you need to make sure you are getting a fair price. Low first-time bids tend to be commonplace in general, but this shouldn’t be considered a wise practice in every scenario. Calculating an approximate average price per square foot is a good idea and will help you understand what the market is doing in a particular area. If you can find out near-future intentions of neighbors, this will also provide a benefit to you as a Saint George home buyer. Such knowledge can often predict future decreases in property value. If you find out that a particular seller is behind on their property taxes, this is a wonderful negotiating tool. This information can be acquired by visiting the local county clerk’s office. Gathering all of these information tools puts you at an advantage as a Saint George home buyer because the seller will see that you’ve given their property careful thought which will make you stand out. Don’t be creepy, but get to know the area. Visit the neighborhood and particular streets with homes of interest to you. Go often. Go during different times of the day and evening. A Saint George home buyer can find out a lot about a neighborhood pretty quickly by doing this. You may discover that the area is in fact not a place you see yourself living despite a home of interested being located there. In addition to getting a feel for the location, be sure to find out distances from the property in question to places you will frequently go like work, the supermarket, gas stations, schools, event centers, etc. Another thing to not overlook is the school district. Even if you don’t have kids, this is important information to know. A notoriously good or bad school district influences the housing market in a surprisingly substantial way. Be a studious Saint George home buyer to increase the quality fo your opportunities.